Mill House — Gite-Adore. Brittany holiday cottages. Brittany, France, Holiday, Gites, to let, Adore Brittany, Gite Adore, France, gite, holiday, france, brittany, cottage, mill house, fishing, trout, salmon, lake, pond, family holiday, cycling, walking, beautiful, traditional, masion, swimming, vacation, hire, rent, lets, holiday lets, beautiful brittany, quelvan, quelvan village, chateau, Moulin de Niziau, Pontivy, Auray, Vannes, Josselin, Quimper, Lanester, Lorient, Morbihan, trout stream Gite-adore. This beautifully restored water mill is set within the secluded grounds, with access to the gardens, the lake and the trout fishing stream. An ideal base for a couple, or new parents, with a cot available on request. 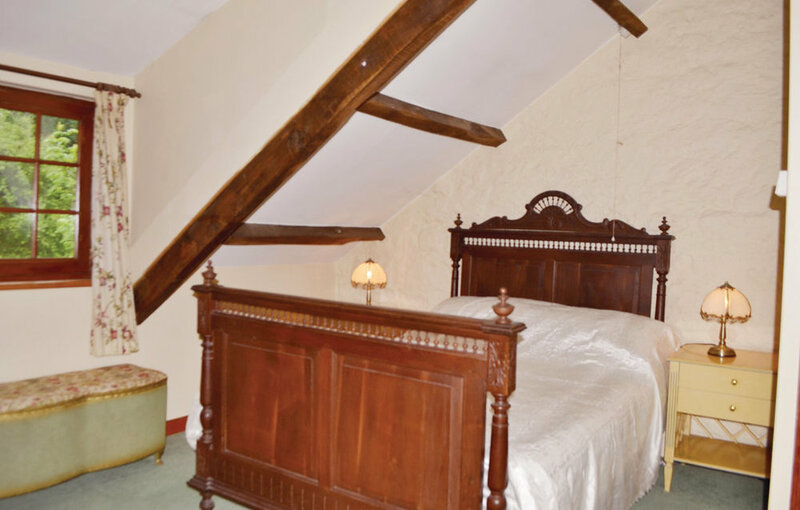 The large double bedroom on the first floor features an antique French bed and an en suite shower room, whilst the open plan living area downstairs has a fitted kitchen, with a microwave, washing machine, electric oven, gas hob, fridge freezer, kettle and toaster. The lounge and dining areas have a comfortable suite, a table and chairs, satellite TV, video, with a fireplace and a log burner. The Mill can be rented together with the next door Maison de Niziau, to create separate private accommodation for family and friends. A rowing boat is available. 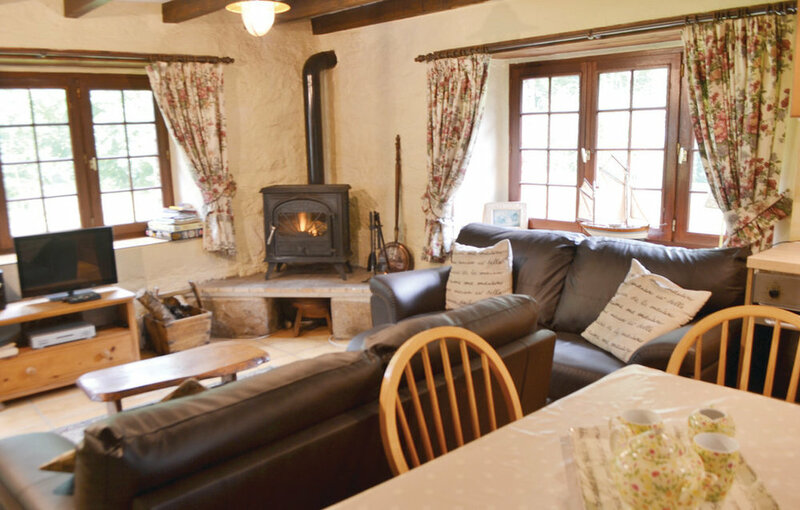 Situated in the in the quiet hamlet of Niziau in the heart of Brittany, approximately 2 hours from the port of St. Malo. Real Fire. Logs are charged for in winter months. Please note that this property is non-smoking. — J.A & P.A., Westerham. — Jay and Donna, Warwick.